For health promotion professionals, social media offers many ways to engage with a broader range of colleagues; participate in professional development events; promote expertise, products, or services; and learn about career-enhancing opportunities such as funding and fellowships. Previous work has recommended "building networking into what you are already doing." This article provides updated and new social media resources, as well as practical examples and strategies to promote effective use of social media. 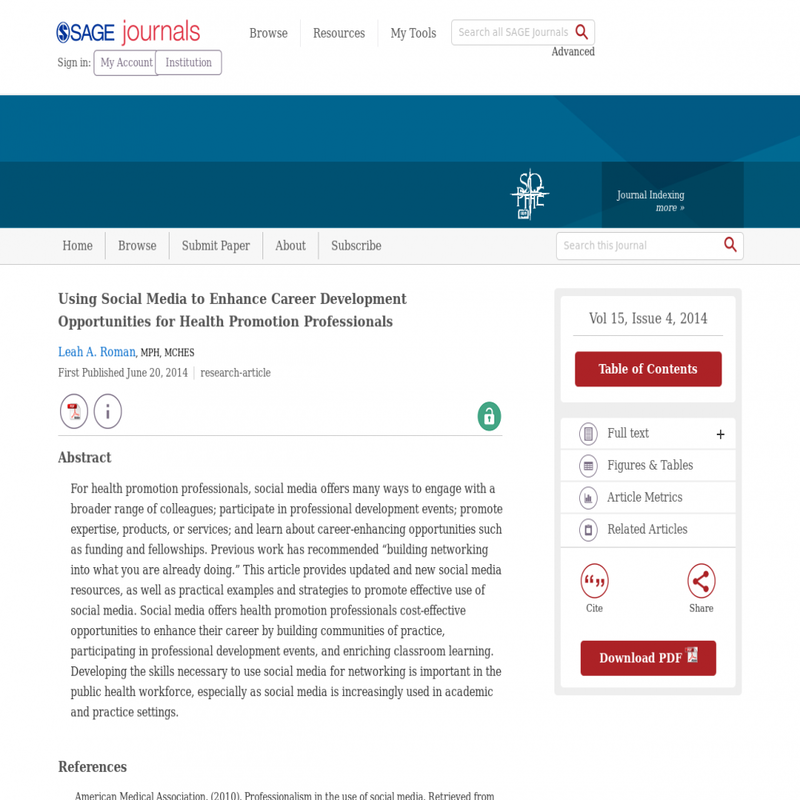 Social media offers health promotion professionals cost-effective opportunities to enhance their career by building communities of practice, participating in professional development events, and enriching classroom learning. Developing the skills necessary to use social media for networking is important in the public health workforce, especially as social media is increasingly used in academic and practice settings.